The work is composed of numerous chairs. People can sit there and have some chats. It would be a nice place for discussion and communication. In a discussion, it is normal for people to have a topic and their standpoints. However, if all the participants hold their stands too firmly and do not compromise, they will be trapped and cannot proceed. We have discussion not only in conference rooms, but also at this artwork, or even in society. Spaces are left among the chairs intentionally. People can enter the circle and go out freely. This symbolizes that people can decide whether to join in the discussion and they can also leave at anytime. People should be granted rights to have free discussion. 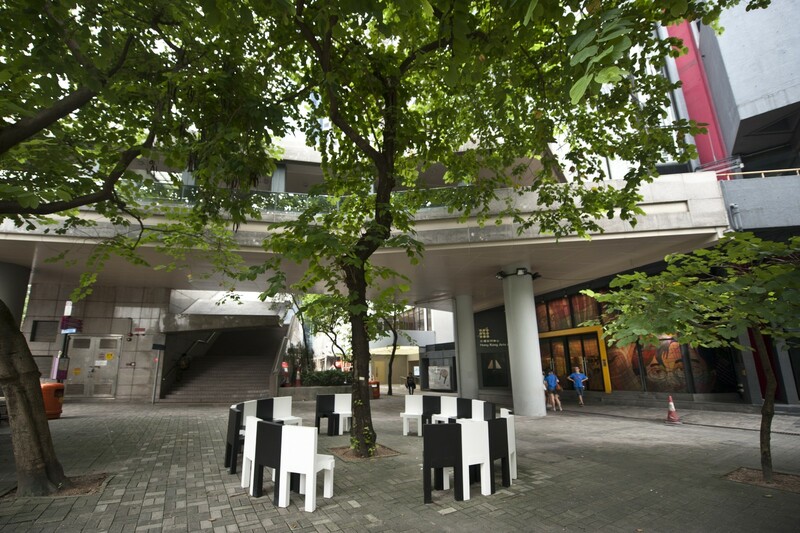 Born in 1958 in Hong Kong, Freeman Lau was graduated from the Hong Kong Polytechnic, now the Hong Kong Polytechnic University, which is highly reputed for design. He started his career at SS Design & Production and became the Art Director in 1985. In 1988, he joined Kan Tai-keung Design & Associates Ltd and became the Partner of “Kan & Lau Design Consultants” ever since 1996. Freeman’s “Chairplay” series is his most representative creation. It was exhibited in Hong Kong, Beijing, Taipei, DDD Gallery in Osaka and Shizuoka University of Art and Culture. In 2005, an exhibition tour of “Chairplay” was held in Hong Kong, Beijing and Taipei. 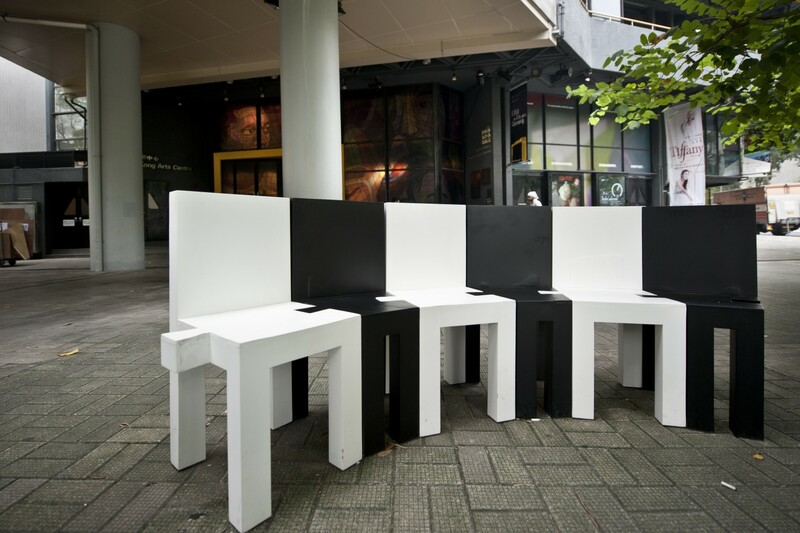 In 2008, “Chairplay II” was exhibited in both the “China’s Space Soul – You•Xi” in the “Yksi Expo”, Designhuis and the “Dutch Design Week” in Eindhoven. 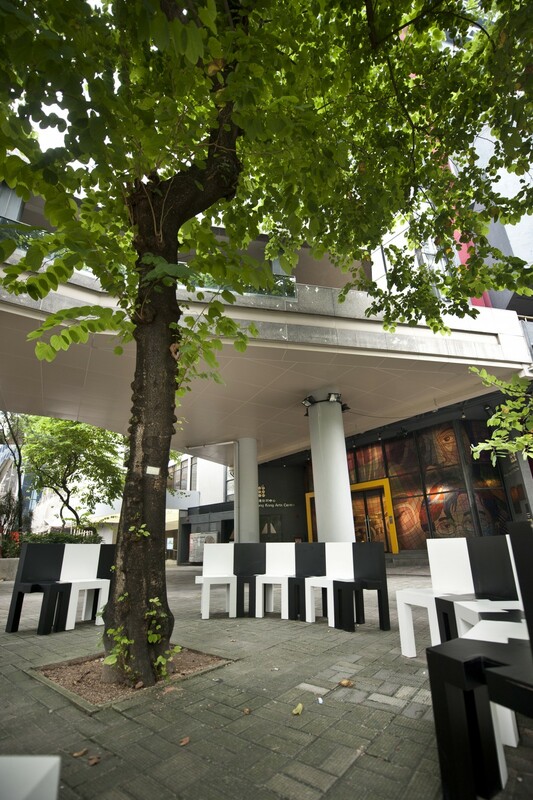 In 2009, “Search ‘Mo’ Chair”, which combined calligraphy and chair, was exhibited in “X beyond O Calligraphy-Sign-Space” exhibition at Museum of Contemporary Art, Taiwan and his finest collections were exhibited at the Museum für Angewandte Kunst Frankfurt, Germany, in the same year. 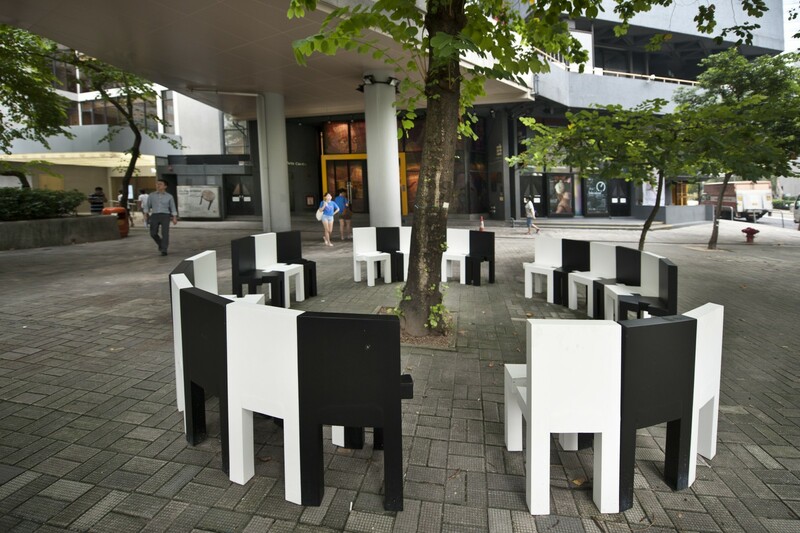 In 2010, he was invited to “Art VS Art”, a joint exhibition by Hong Kong Museum of Art and Museum of Contemporary Art Shanghai, to show “Chairplay” series. 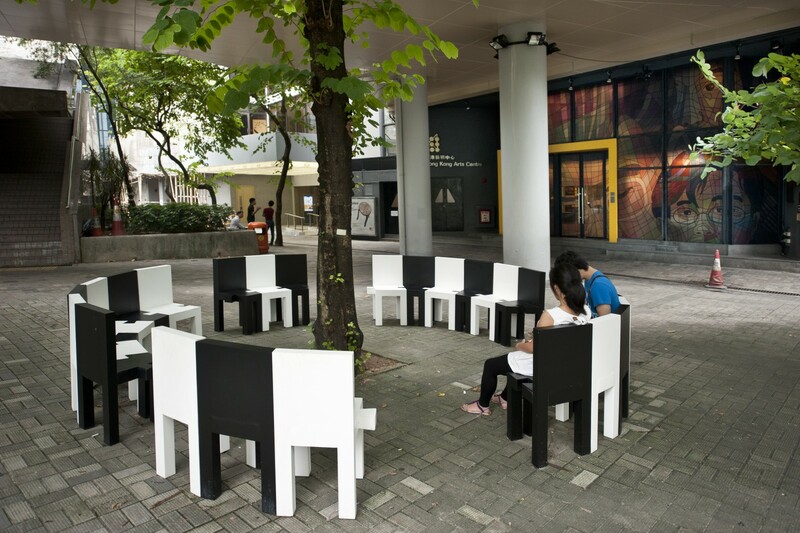 In 2011, he was invited to another joint exhibition called “Chair Affection Chairplay” with Mr. Zhu Xiao-jie from Wenzhou and exhibited new series of “Ming Intertwined” and “Rusty Folding Chairs”, adding new elements to the “Chairplay” series. He took part in “Milan Furniture Show” in 2012 and exhibited “City Confusion” and “Happy City”. In the following year, his artwork named “Ming Intertwined 3 in 1” was displayed in the same exhibition.